MANILA -- Senator Antonio Trillanes IV on Tuesday evaded arrest after submitting himself to the custody of the Senate upon the advice of its leadership and his colleagues in the minority. While under custody, Trillanes will remain at the premises of the Senate. President Rodrigo Duterte has ordered the arrest of Trillanes after he revoked the amnesty granted to the former mutiny leader in 2010 under Proclamation No. 75, for his participation in the July 27, 2003 Oakwood Mutiny and the Nov. 29, 2007 Manila Peninsula Incident. But in Proclamation No. 572, which was signed by the President last Aug. 31, stated that the amnesty extended to Trillanes was void from the start because the latter did not comply with the "minimum requirements to qualify under the amnesty proclamation." A team from the Criminal Investigation and Detection Group dispatched to carry out the arrest has been earlier barred from entering the Senate building. “Outside the Senate premises, that’s no longer our concern, but within the Senate premises, that’s the decision of the leadership. Now Senator Trillanes can find redress in the proper courts. It’s his call,” Sotto said in an ambush interview. However, the Senate leader said some limitations would probably be discussed in a later caucus. Meanwhile, Trillanes said he agreed to be placed under Senate custody after receiving "assurances" from Sotto that "he will not allow any arrest" so long as he stays within the Senate premises. He said he was not afraid to be arrested but chose to stay in the Senate on the principle that the arrest order for him is illegal as all his cases were already dismissed. “My amnesty was granted after all requirements have been complied with. I even took oath in front of then defense officials. All my cases covered by the amnesty have been dismissed,” Trillanes said. At the time Proclamation No. 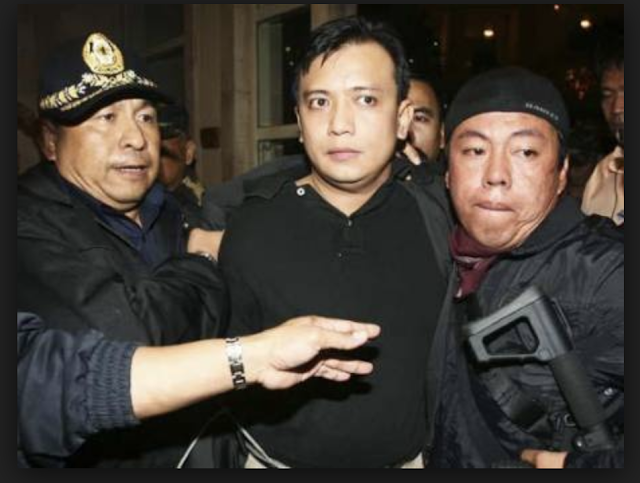 75 was issued, Trillanes was facing trial for a non-bailable offense of coup d e’tat at a local court and also facing trial for mutiny or sedition, and other military offenses before the Military Tribunal. He said his lawyers are now studying all options and will file necessary petitions before the Supreme Court to resolve the issues against him. “Sa ngayon, iyon yung advice ng Senate leadership at ng Senate Minority (For now, that is the advice of the Senate leadership and the Senate Minority), so I will submit to that,” Trillanes said. “As a practical remedy, we have requested the Senate President that the Senate takes custody of Senator Trillanes, pending his ability or his remedies in our regular courts,” he said. “We will avail of the legal remedies. We still believe in the rule of law,” Drilon said. He also maintained that Trillanes can remain under Senate custody indefinitely. “It does not depend on the session. The custody is defined by the boundaries of the building. The custody is when you voluntarily submit to the custody of another person,” he said. “Certainly, the Senate President did not arrest Senator Trillanes. The Senate President and the Senate will uphold the dignity of the Senate,” Drilon said. Drilon’s view was contrary to that of Justice Secretary Menardo Guevarra, who earlier said legislative immunity cannot apply to Trillanes because the opposition lawmaker is facing a non-bailable offense. Guevarra noted that Proclamation No. 572 directed all enforcement agencies to apprehend Trillanes so he will be placed in custody. “Maybe for now if he is attending session at the Senate, the Senate can take custody of Trillanes,” he said. Despite Trillanes’ “failure to apply for amnesty and refusal to admit guilt, his name was nonetheless included among those granted amnesty in 2010 and was approved by former defense secretary Voltaire Gazmin,” the proclamation read. “The grant of amnesty to former LTSG Antonio Trillanes IV under Proclamation No. 75 is declared void ab initio because he did not comply with the minimum requirements to qualify under the amnesty proclamation,” it added. The proclamation stated that as a consequence, the DOJ and Court Martial of the Armed Forces of the Philippines are ordered “to pursue all criminal and administrative charges” against Trillanes in relation to the Oakwood mutiny and the Manila Peninsula incident.